Cause of random possible DLM reset? I had a rather strange thing happen on my connection, presumably somewhere around the middle of December (I wasn't keeping close tabs on the HG612's connection at the time), where my connection seemed to experience a DLM reset of some kind. To remind everyone, possibly a year or more ago I managed to 'freeze DLM' into giving me a 60/20 connection with no interleaving (0 INP, 0 delay), and no matter how many times I pulled the plug in and out, it would keep at 60/20 without interleaving and DLM wouldn't intervene. 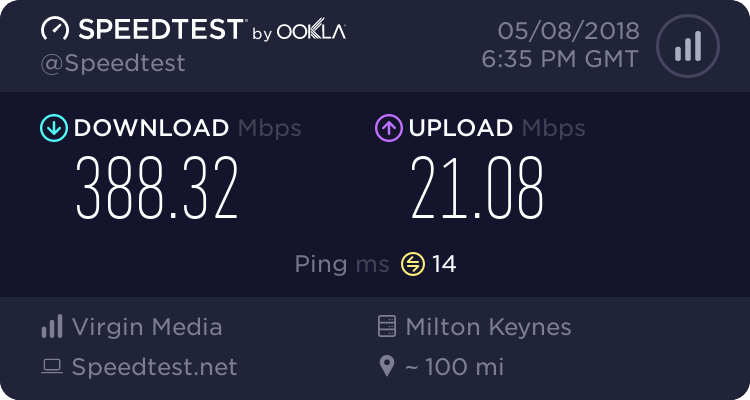 Well, apart from the apparent DLM reset, I've also noticed my downstream attainable rate has shot up about 4 meg from the usual average I've seen for months, as well as upload attainable going up by a meg or so. Currently INP is 3, a rather low/moderate setting, but I think my statistics in regards to ES, CRC and such are reasonable. Maybe I'm wrong though, so I welcome opinions on my statistics below. The curious question I have is, does anyone have any idea what may have caused this sudden DLM reset and increase on attainable rates (or so it would seem)? Re: Cause of random possible DLM reset? No idea what caused it, but whenever interleaving is applied (you have quite a high level at 1419) the attainable seems to increase higher than it should be. I had been on fast path for months at 47, with a very similar attainable, now I have interleaving my attainable is about 50. You'll see the word bearer has appeared in your data which is probably an indication that your firmware has been auto-upgraded by the BT Agent. I have noted a number of Huawei modems on ECI MSANS that now produce better Sync speeds especially for the lousy services in single Mbps download speeds. The best being a 2+ km D side line increasing from around 0.75 Mbps to 2.74 Mbps. I see. I've noted that interleaving depth seems to (in some form anyway) link to the sync speed and INP. About two days ago when I first noticed this apparent DLM reset and attainable rate improvement the depth was around 1000 odd with a downstream sync speed capped at around 74000 odd if my memory serves me correctly. With the new firmware I could cap the HG612's sync speed via xdslcmd again to verify that, but I'm pretty sure it is linked in some way. I see. I did manually update to the newer firmware originally, one of the ones posted on this forum somewhere, but that was quite a while ago. The only thing I can think of that was in some way related to this apparent DLM reset or DLM being unfrozen could be the series of reboots/power losses I had on the modem about a week ago, during heavy rain downpour. Other than that I'm pretty clueless as to what caused this. Still, it's different. In the past I've noticed this as well, where ECI to ECI produce worse results than HG612 to ECI. Ixel at a guess it could be the firmware been upgraded on your dslam which in turn caused DLM to unstick itself. Ah yes, that could very well be the case, good point. Perhaps that could also explain the increased attainable rates as well. Thanks.